NBA Playoffs is right around the corner and it means new editions of NBA superstar’s signature shoes. 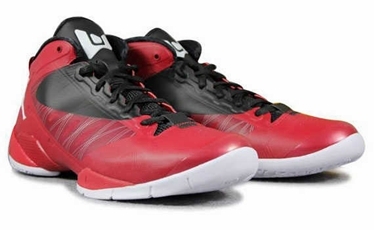 The Jordan Fly Wade 2, which is Dwyane Wade second signature shoe, will be released in a reconstructed version known as the Jordan Fly Wade 2 EV, which will initially come out in Gym Red/White-Black colorway. Although this silhouette is officially scheduled for release on April 18, some Jordan Brand stores have confirmed that this one has already hit the market on a limited basis. You can check out stores near or wait for the release five days from now. The wait will be absolutely worthy for you will be getting a top-notch signature sneaker from Jordan Brand. New Colourway of Jordan Fly Wade 2 Released! Jordan Fly Wade 2 Now Out!